If you happen to live in the United Kingdom, Teenage Mutant Ninja Turtles: Out Of The Shadows is giving you have a chance to win a trip to New York City. All you have to do is find Leonardo. Or at least, a statue of him. 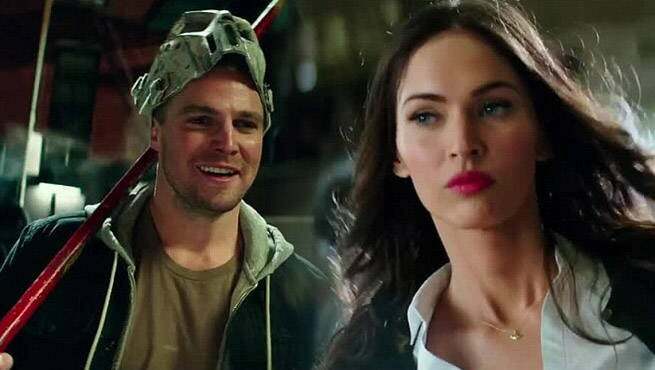 You can view the announcement from Megan Fox (April O'Neil) and Stephen Amell (Casey Jones) above, but here is the gist. A Leonardo statue will be located at one of 7 different locations from February 27th through March 4th. Once you locate the statue, you need to take a picture with it, make it as fun as possible, and then upload it to Twitter using the #TurtleHuntUK hashtag. They will pick a winner from those entries, and fly them and a friend to NYC. You can view the full schedule below. Going to New York City is fun and all, but while you are there they will put you up in a 4 star hotel for 4 nights. In addition they will give you a private parkour lesson, a helicopter tour of teh city, and tickets to an NBA game at MSG, complete with backstage tour. Not bad for just taking a photo with a turtle, though personally I'd rather it be Donatello, but whatever.